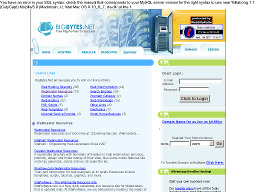 BigBytes.Net Offer affordable web hosting with reseller plans. Get unlimited emails and host unlimited domains starting at $0.82/month. High quality, reliability and excellent customer support. Get FREE hosting and domain registration, visit us to find out how. Google URL Shortener Replaces a long URL with a shorter one; displays all your URLs, the creation time (hour, week, month, etc) and click history. Requires a Google account to access. 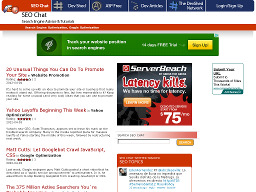 SEOChat.com A discussion/ chat forum related to the major search engines and directories. If you want some in-depth insight into Google, Yahoo, AlltheWeb, the ODP and other engines, this is a good site to visit. 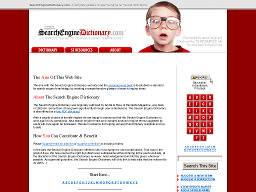 SearchEngineDictionary.com Provides an authorative glossary of search engine terms. It offers an alphabetical listing of over 300 terms and definitions related to search engines. If you're wondering what terms like "SERPS", "keywords stuffing", and "spamdexing" mean, this site is a must visit. 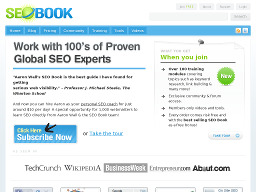 SEOBook.com A good site to visit if you're looking for the latest search engine news. Check out the archives for past news. 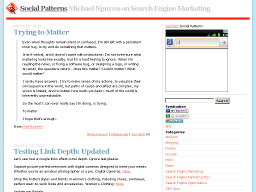 SocialPatterns.com A personal site by search engine marketing expert, Michael Nguyen, which mainly consists of search engine news and search engine marketing discussion. Interesting content. 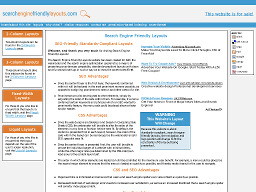 Search Engine Friendly Layouts Website provides standards compliant layouts with clean and functional markup. 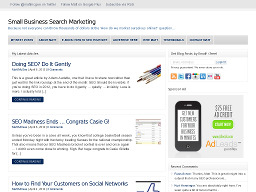 Useful for webmasters and search engine optimization specialists. 100Keywords.com Offers two free online tools for websites, but both are very useful. The first, a Keyword Research Tool provides valuable information about which terms people search for each month and how many times the keyword is requested, and the second, a Keyword Density Tool shows how well your website is designed for the search engines. 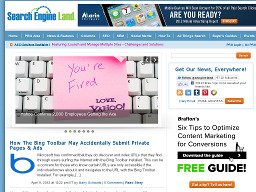 SearchEngineLand.com One of the top search engine blog and news sites on the Web. If you're looking for the latest information on developments in the search industry, this is a good starting point. 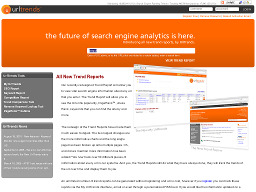 URLTrends.com URLTrends.com is a new site that provides a host of useful facts about any URL such as Pagerank, Alexa rank, Incoming Google, Yahoo, MSN and Alexa links, overall incoming and outgoing links and much more. 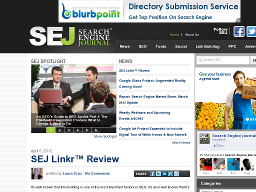 Search Engine Journal A popular 5 year old publication, specializing in search engine news. Quality content that's frequently updated. 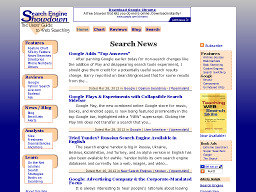 Search Engine Showdown An online compendium of search engine facts, analysis, information, and comparisons. If you want some quick insight into the major engines, this is a good starting point. Small Business Search Marketing Provides SEO and web marketing tips and conversation for the small business owner and webmaster. Read blog posts, join discussions, get the latest blog news, and learn how to market your business from other small business owners and industry experts. Traffick.com Charts developments in the world of search engines, focusing on the business angle and how search engine marketing is evolving on the Web.  The content is primarily articles related to the SE industry arranged in 5 major categories.